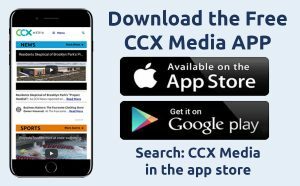 This week on CCX Media’s Sports Jam, highlights from the state wrestling tournament and state boys swimming meet plus highlights from section girls basketball and a look ahead to the section boys basketball playoffs. In this week’s Sports Jam Spotlight Jay Wilcox profiles Maple Grove girls basketball standout Autumn Mlinar. The Crimson’s leading scorer has helped Maple Grove to a 23-5 record. Plus our Plays of the Week segment.